Gyroscope is a photograph by Science Photo Library which was uploaded on July 24th, 2016. 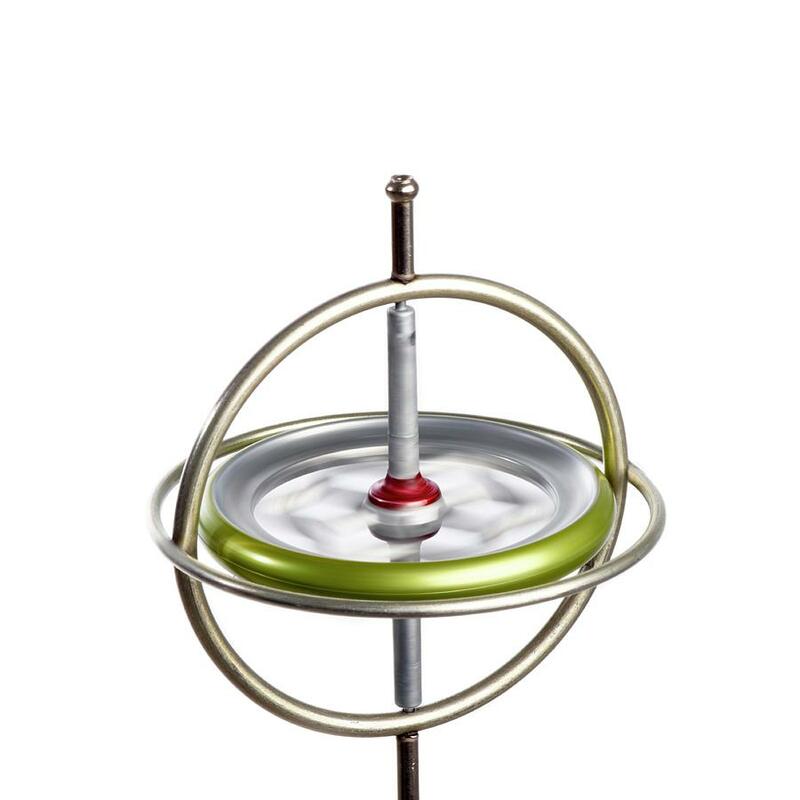 A toy gyroscope spinning. 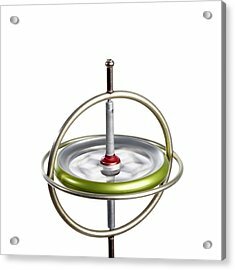 A gyroscope is a heavy spinning disc mounted so that its axis is free to adopt any orientation. 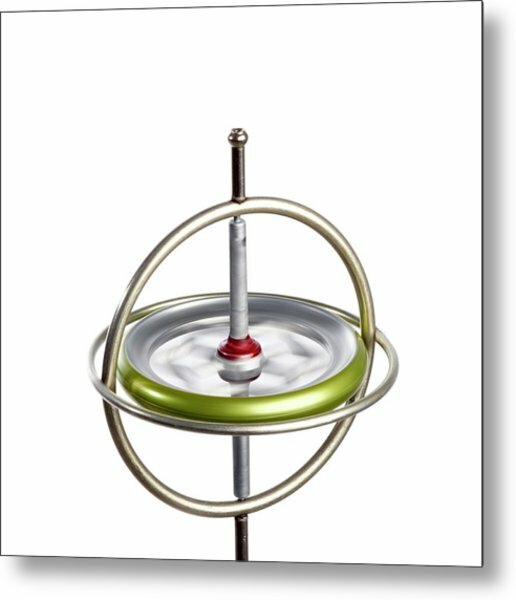 Its special properties depend on the principle of conservation of angular momentum. 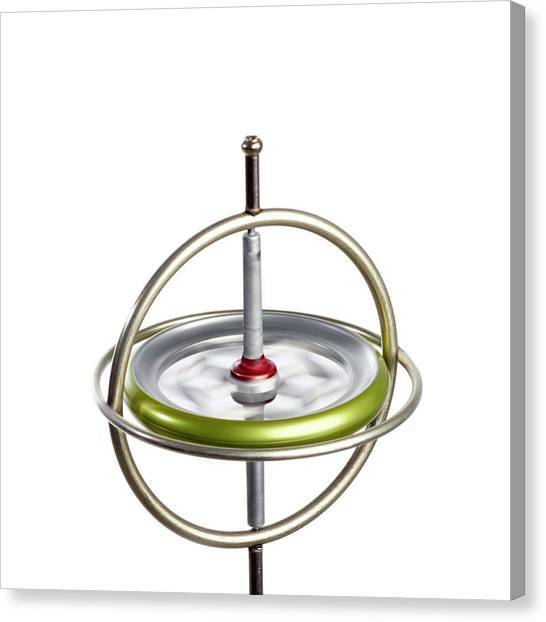 The fact that it will stay upright as long as it is spinning fast enough demonstrates the property of gyroscopic inertia: the direction of the spin axis resists change. 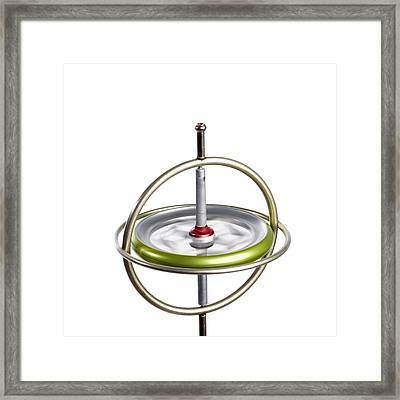 Gyroscopes are used in stabilisation devices and compasses in boats. 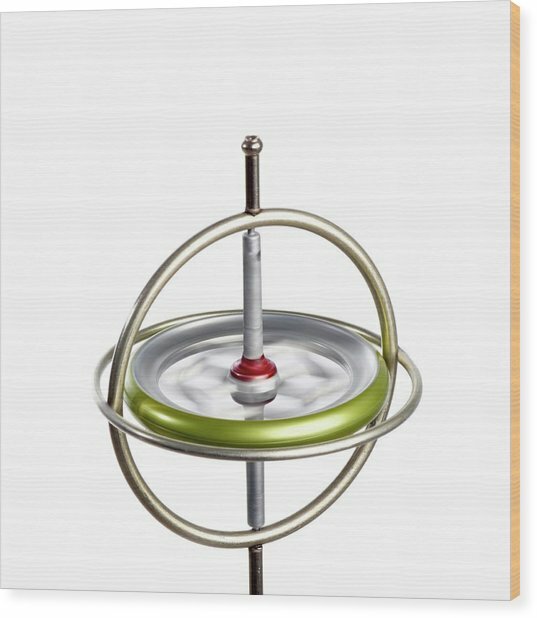 There are no comments for Gyroscope. Click here to post the first comment.